One of the first questions that crosses anyone’s mind – working mum or not – when they consider becoming a freelancer is ‘Where will I find work?’ To answer that question, dozens of websites have been set up to put eager clients in touch with experienced freelancers. But how do these sites work? And which ones are worth signing up with? To help guide you through the confusion, Rosalind Kent from the Freelance Parents Network examines the pros and cons of freelance job sites – and explains why she established her own alternative freelance network for parents. If you are new to freelancing and just starting out then you will inevitably have come across a plethora of websites that offer you the chance to bid for freelance roles in your chosen profession. A quick online search brings up a wide variety of these sites from the US-based eLance, oDesk and Freelancer, to Peopleperhour, one of the few UK-based freelance job sites. In terms of diversity this is great, but may not be so brilliant for everyone in terms of pay. Freelancers from different economic climates will have very different ideas of what constitutes a decent level of pay, and as these websites are based on a bidding system, lower bids will inevitably attract more attention from hirers. If you’re a professional with years of experience behind you, it’s wise to think carefully before bidding for work on these websites, as you are likely to be undercut from all angles. And in fact, many experienced professionals choose not to join them for that very reason. Despite this, these sites remain very popular, and freelancers of all kinds sign up in the hope of finding work. It makes sense to be on the look-out for new sources of work at all times – every freelancer knows that there will inevitably be months where jobs are hard to come by! My own experience as a freelancer led me to set up my own freelance job site that works in a completely different way. The Freelance Parents Network is aimed specifically at parents who are looking for freelance work to fit around their family lives. The parents registered with us have some great experience behind them and can offer a really professional service to the companies who hire them. Unlike many freelance job sites, the Freelance Parents Network does not rely on a bidding system. Freelancers register with us and are emailed details of suitable freelance jobs. They are then free to apply via a short online form. Employers post their jobs with us because they know they are going to be putting their role before highly qualified, professional freelance parents who wish to continue working flexibly around their family life. The vast majority of our freelancers are based in the UK, although we have had job requests from abroad, and because of this our network is slowly becoming more international. All the major freelance job sites, including eLance, oDesk, Freelancer and Peopleperhour, as well as the Freelance Parents Network, are free to join. They make their money by charging a reasonable commission on each job, usually around 10%. Which means that, as a freelancer, you don’t incur any changes until you’ve actually earned money. 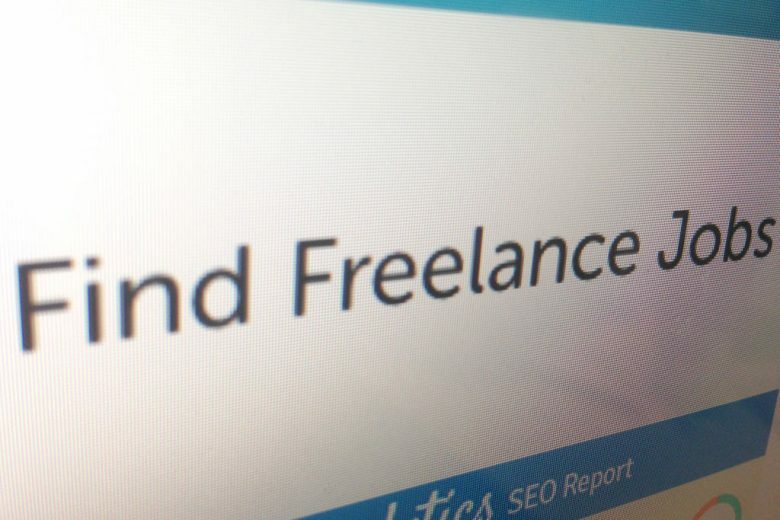 The good news is that today it’s easier than ever to find freelance work online. Whether you choose to sign up for an auction-based freelance job site, the Freelance Parents Network, or look for work among your own contacts, there are plenty of clients out there who need and want your services – enabling you to use your skills and experience and work on your own terms around your family. And, pros and cons of each aside, that can only be good. If you’re still considering making the leap, find out more about the pros and cons of being a freelancer, how to work out what to charge for freelance work, how to quote for freelance work, and where to find work as a freelancer. You can also read eight brilliant networking tips that every successful freelancer needs to know.